Pemberton is a small village with a population of just under 800, although at this time of year that swells quite a lot. The township is set in the picturesque Western Australian Southern Forests. When we first decided to stay here we kept hearing how the area was famous for its trees. 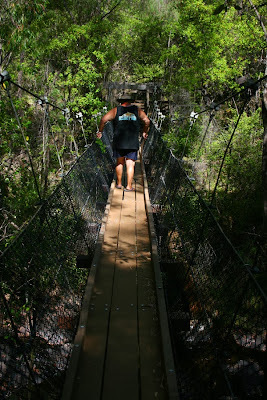 This didn't seem like such a big deal, that was until we got here and saw the beauty and size of the Karri. The Karri tree, which is a type of Eucalyptus, is a tree that grows up to 90 metres in height, making it one of the tallest trees in the world. 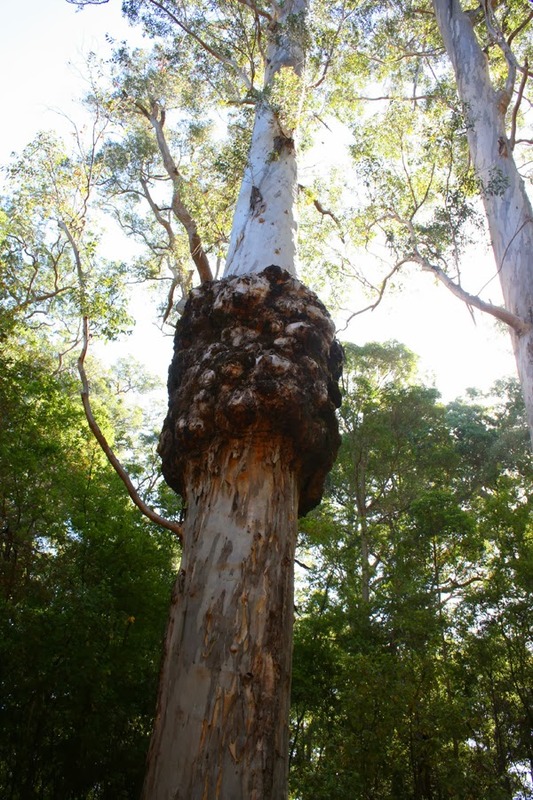 This tree is native only to the South West of Australia. 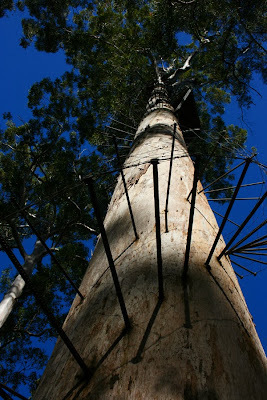 In days gone by a series of fire lookouts were constructed in the top of a few very tall Karri trees. 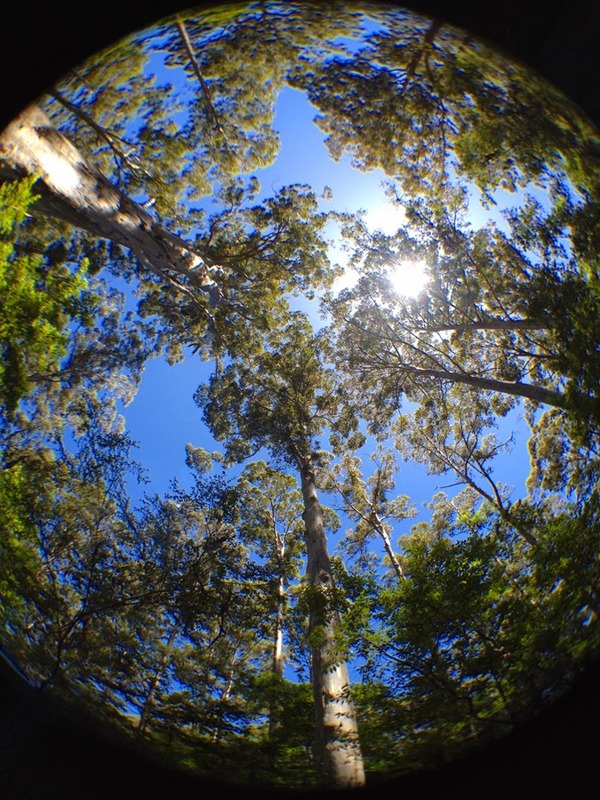 The first Karri fire lookout tower, called The Big Tree, was constructed in 1938. By 1952, eight tree towers had been constructed. There are still three of these fire lookouts open to the public. For those people that are a lot more adventurous than me are able to take up the challenge of climbing two of these trees. The Gloucester Tree at 72 metres in height is one such tree. 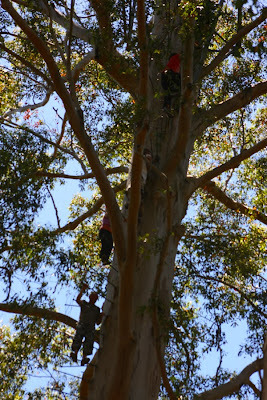 I couldn't believe that not only were people climbing these huge trees but they were allowing their children to climb them. There was one little girl around 10 who climbed to the top. I can tell you it had my legs shaking and I was safely on the ground. 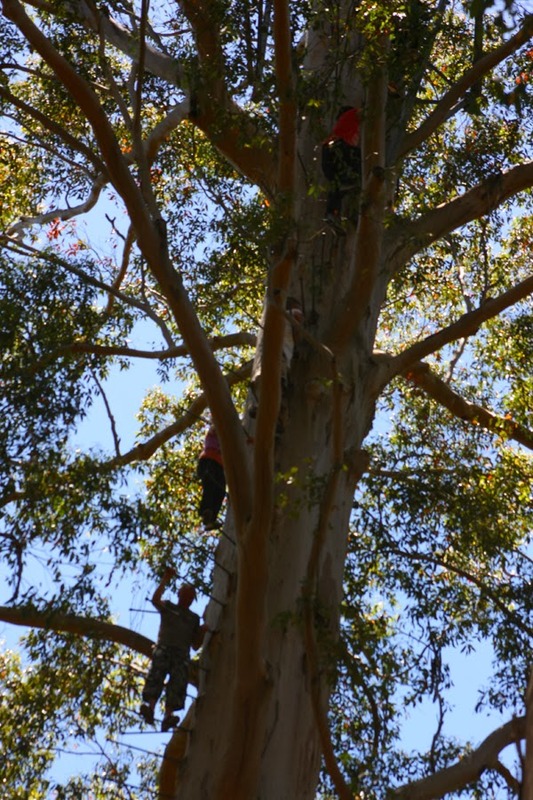 The Dave Evans Bicentennial Tree is another tree the public can climb just out of Pemberton. The lookout was first pegged in 1988 as part of Australia's Bicentennial celebrations. 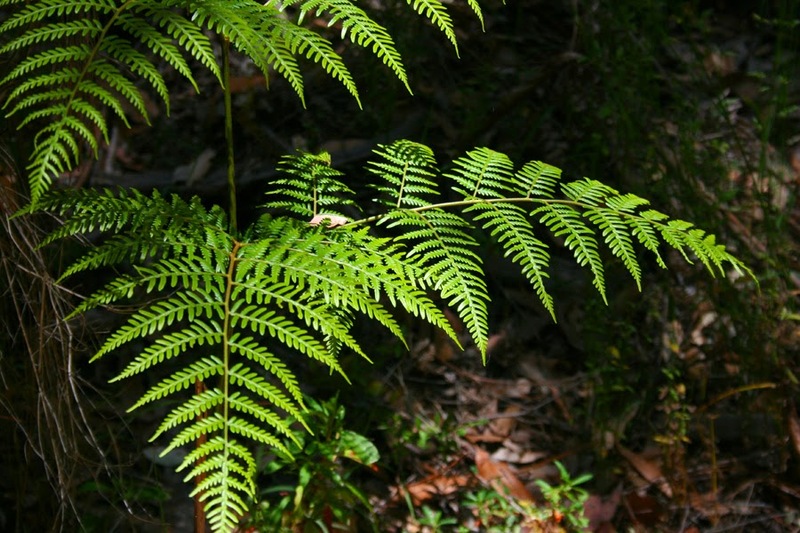 At 75 metres above the ground, it is the tallest lookout with a 360 - degree view of the old growth Karri forest. If you ask me these people are crazy!!! The caravan park we are staying at is literally on the edge of the forest. The sounds of Nature are beautiful to listen to. But you have to catch it early in the morning. As it's school holidays at the moment it isn't long before the kids in the park are yelling, screaming and carry on as only kids can and should. I must admit I have had a bit of a re-education on just how noisy kids can be. But something that has really surprised and shocked me is the way some parents talk to their children. The family staying next to us have a little boy about 6ish, and from what I can tell he is a bit of a handful. But I have never heard a mother talk to a child in the way she is. I think she is so angry with this little man that she has forgotten he is her cherished baby. It makes me sad. 2014 be filled with lots of love, laughter, health and above all FUN.